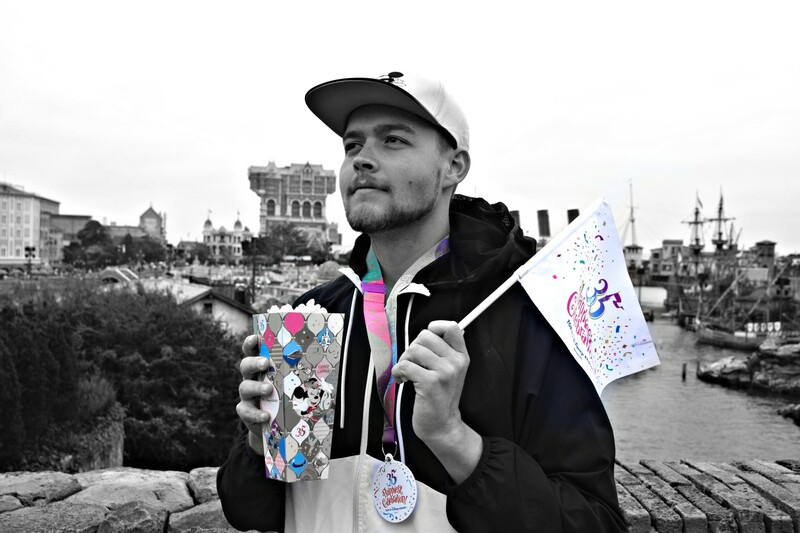 Welcome to the part of the update that you were likely here for! The West Coast Racers construction. No track has appeared on site yet but lots of preparations are taking place to prepare for this racing launch coaster. 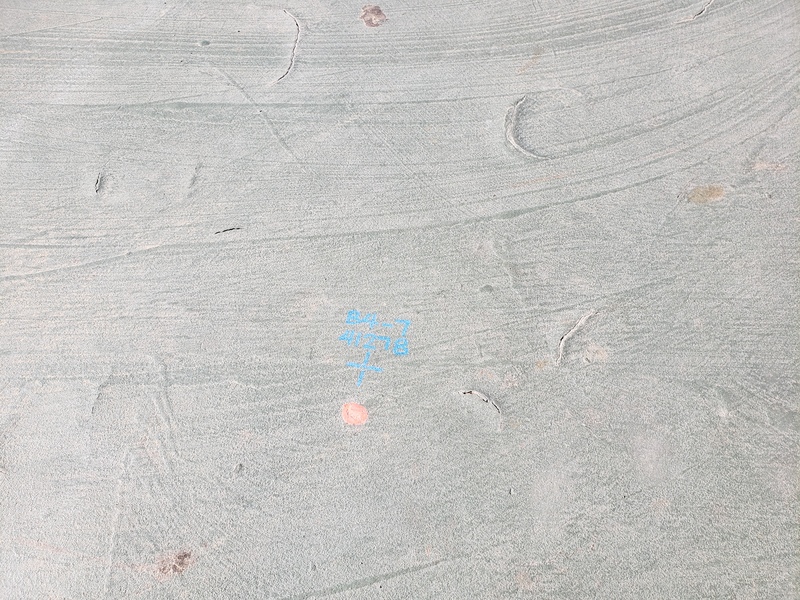 Below you’ll see an aerial shot of the construction zone just behind Ninja. 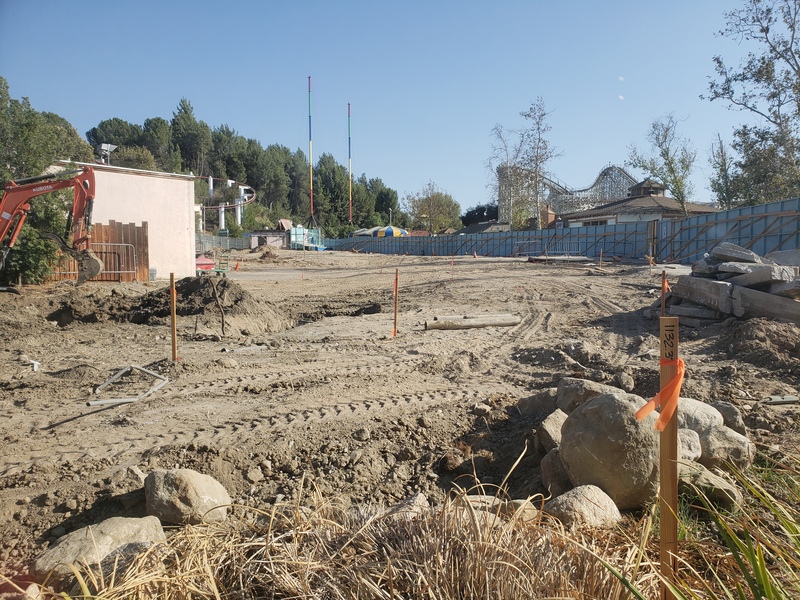 It’s hard to see from up on Samurai Summit, but the whole dirt lot is filled with markers that signify where the footers for the coaster will be located. They are different colors and represent different construction types. Markers are also in place for the station, queue, launch magnets, etc. Moving to the actual construction zone, the vast majority of rides are closed, which is no surprise. 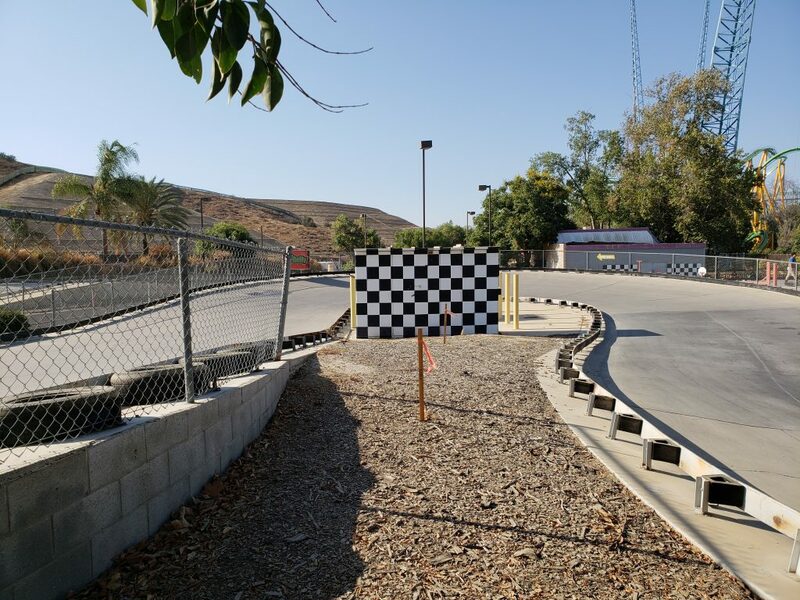 What we do want to talk about is the area where the West Coast Racers track will be. 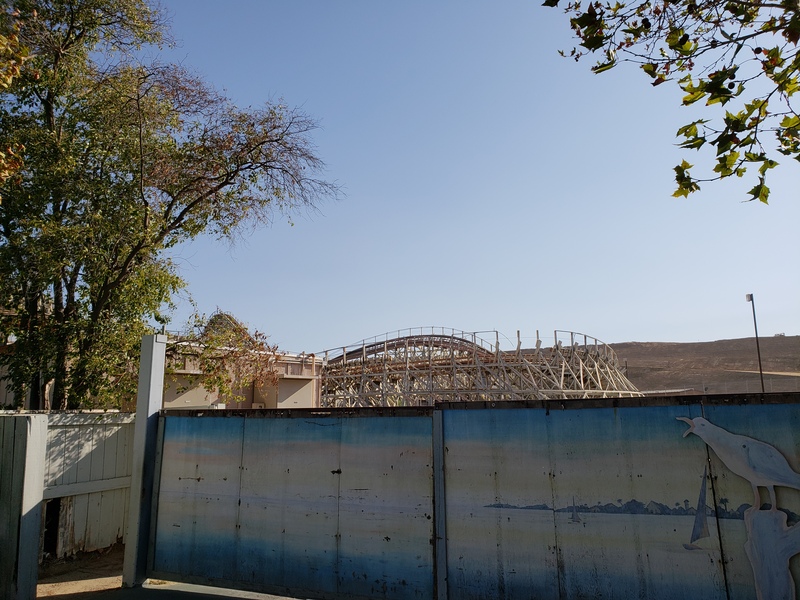 Apocalypse is currently closed for its retheme and refurbishment, the entrance to the ride will also play an important part on West Coast Racers. 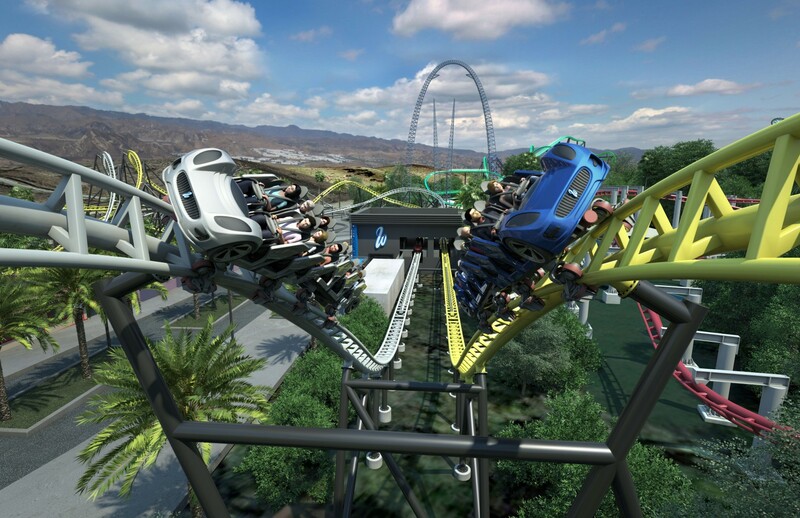 The tracks will feature an airtime hill over the entrance before the secondary launches. Pay close attention to the elements in the back of this concept art. That’s where the trains will hop over the Apocalypse entrance and enter the secondary launches over the concrete riverbed behind the area’s shops and restaurants. 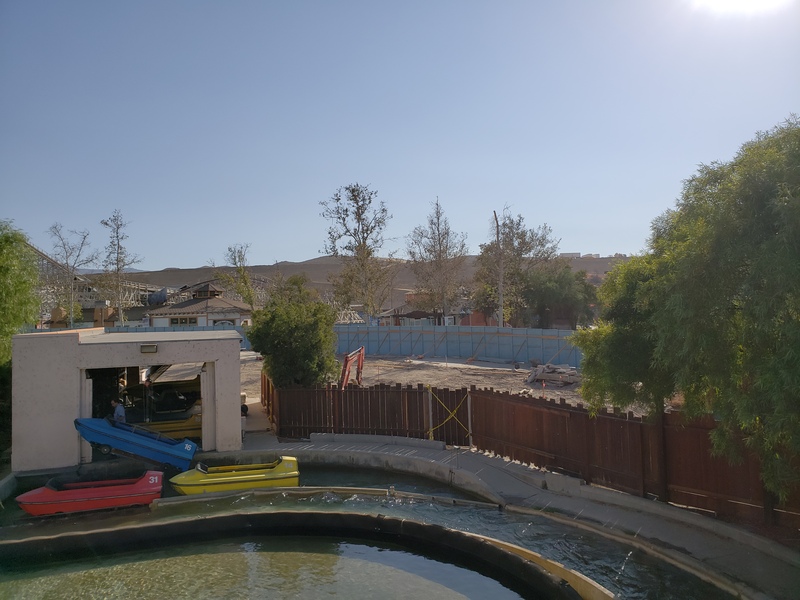 The use of the concrete riverbed is quite revolutionary, the park has had that riverbed there since its opening but never used it for footers or construction. 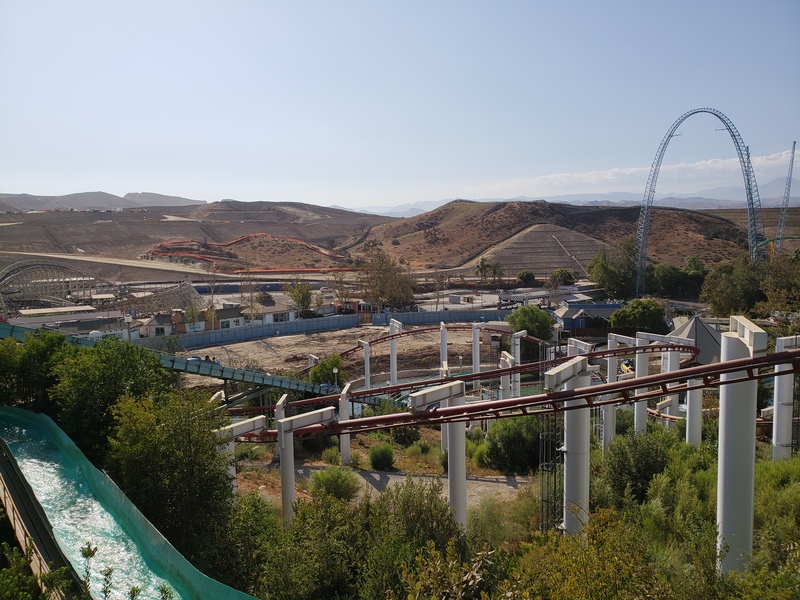 So far only bridges to cross the riverbed have been used (on rides such as Apocalypse and Batman: The Ride). 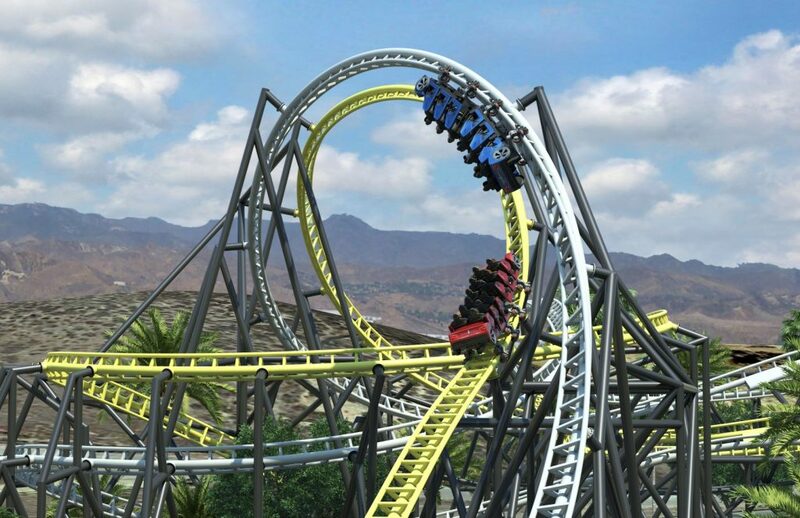 The Riddler’s Revenge ride design is specialized to run parallel to it and cross it once, without using it for construction/supports. Fascinating. On the topic of Apocalypse, as of now the name of the new area is unknown, so is the new theme of Apocalypse. Given West Coast Racers is street racing inspired with a “LA centric urban” theme, a backlot/junk yard style theme seems to be the path of least resistance. We will see. 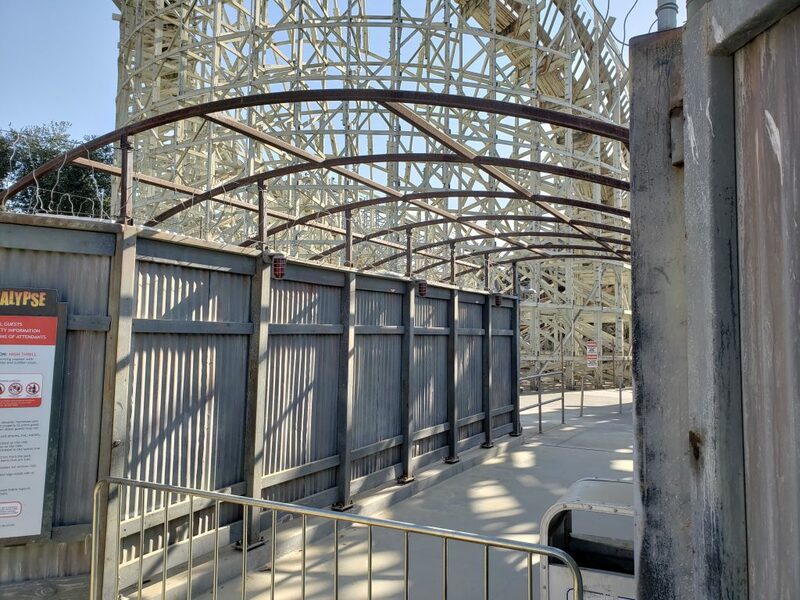 Next is the area where the coaster tracks will cross the midway as several points. The park is not removing Totally Kickin’ Chicken, but rather will be building a support structure over the midway and restaurant. 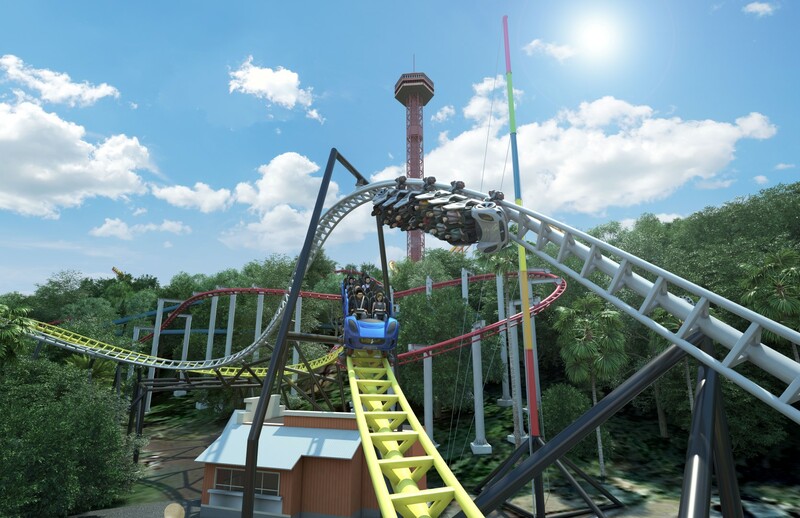 The elements on the ride featured here will be the high-5 and the zero-G-stall! It is no surprise that the support structure for West Coast Racers will be quite complex, but this concept art perfectly displays just what crazy complexity we’re talking about. Note the exit of the High-5 into the zero-G-stall over the restaurant and the accompanying support structures! 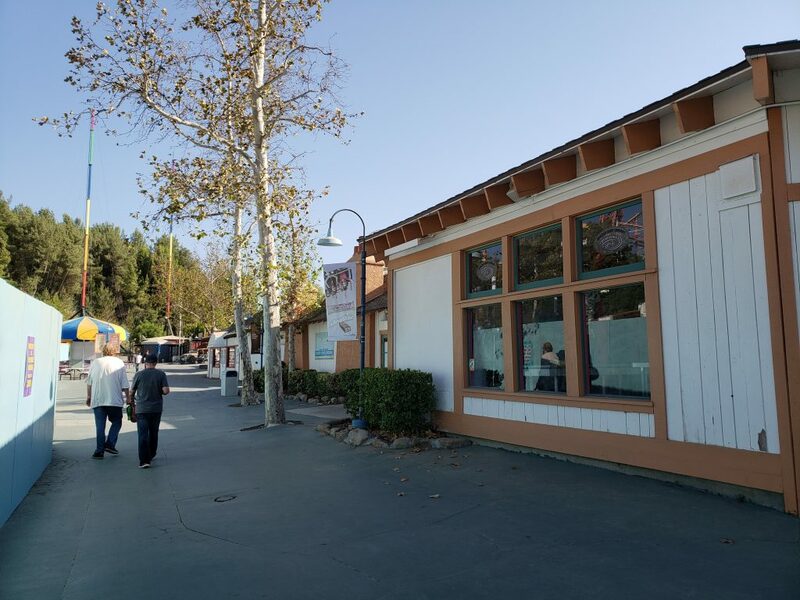 The concepts call for the remaining of the Coaster Candy Company, which we’re excited to see remain in the park. 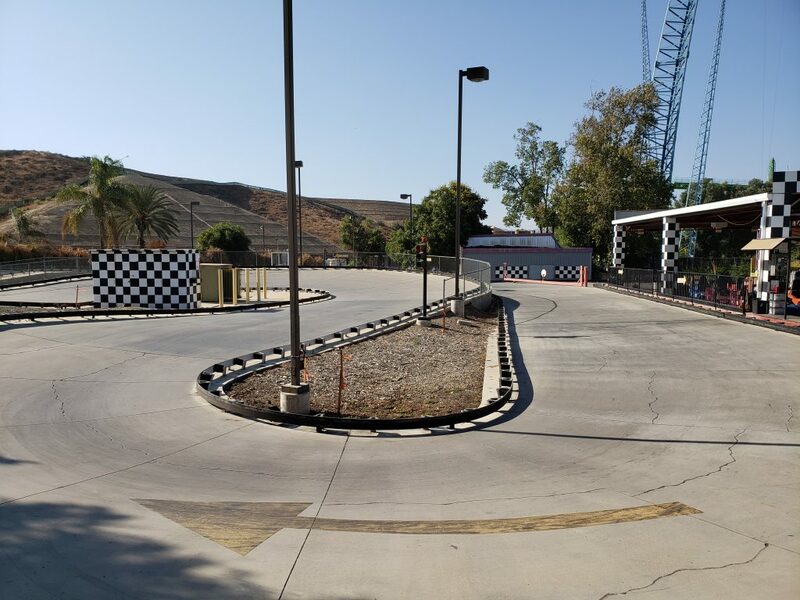 The midway will be re-profiled with new pavement, planters, and palm trees. We’re glad to see the park do the opposite of their past projects and actually adding planters, plants and trees! If you’re looking for the station of West Coast Racers, it will be located just around here. 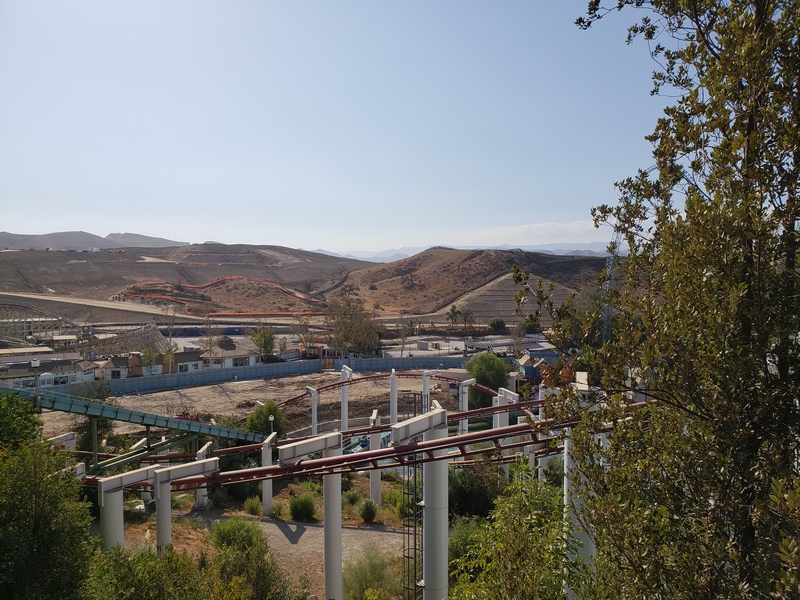 Here’s another look at Apocalypse‘s missing track, the ride still tracks pretty roughly because of the brutal California climate. Let’s hope they bring in GCI to do it this time. Next… MARKERS! 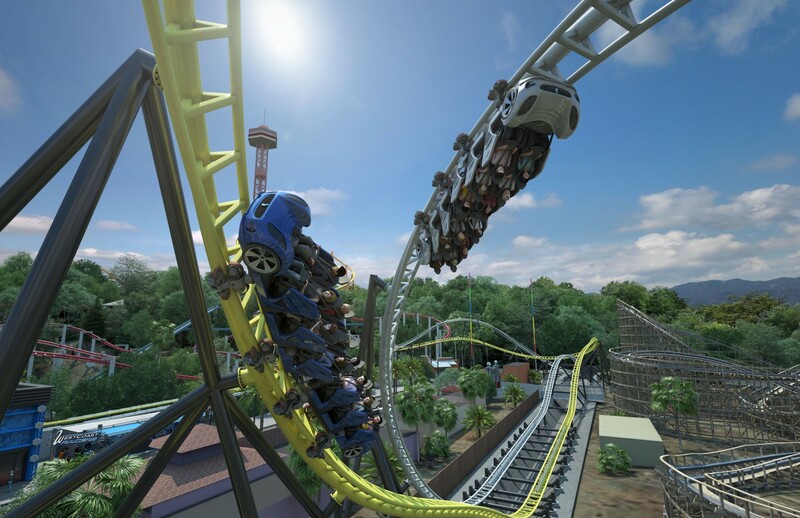 The intertwining corkscrews, figure-8 helix and airtime hill will ALL be located above Cyclone 500. There’s a ton of markers surrounding the tracks, I am amazed they are able to fit the ride’s largest elements here. To give you an idea, all of this will be towering over Cyclone 500. That’s a lot of track and a lot of excitement. This again reiterates the fact that the support structures for this ride will be incredibly complex and fascinating in their own right. 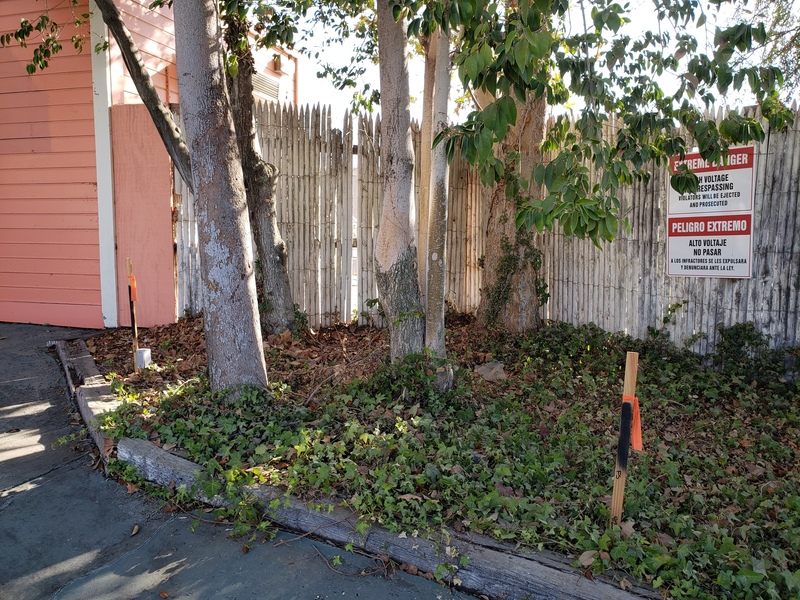 There are more markers for footers all around the old Los Cuates restaurant, which is also part of that mess of supports and elements we wrote about above. Of course there is no way that the support structure isn’t going to touch the midway concrete at some point. 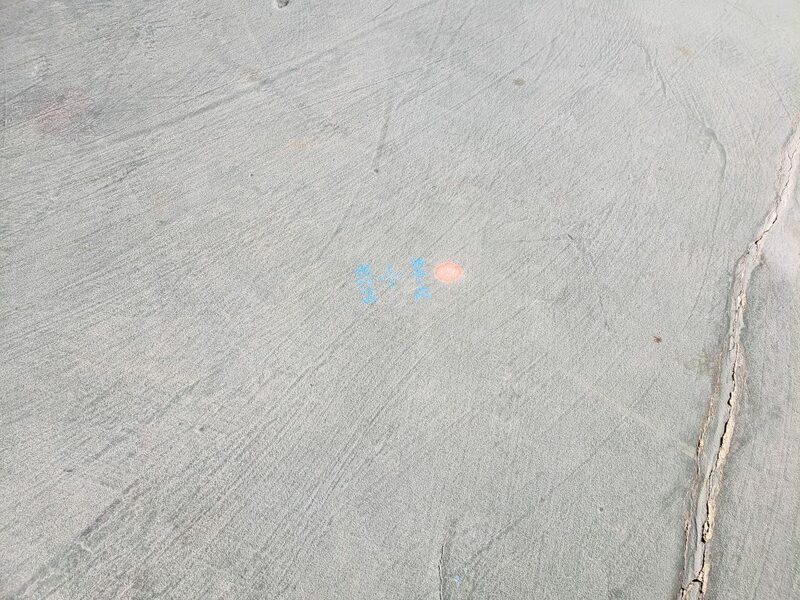 The midway in Cyclone Bay also features plenty of markers where footers will be placed. 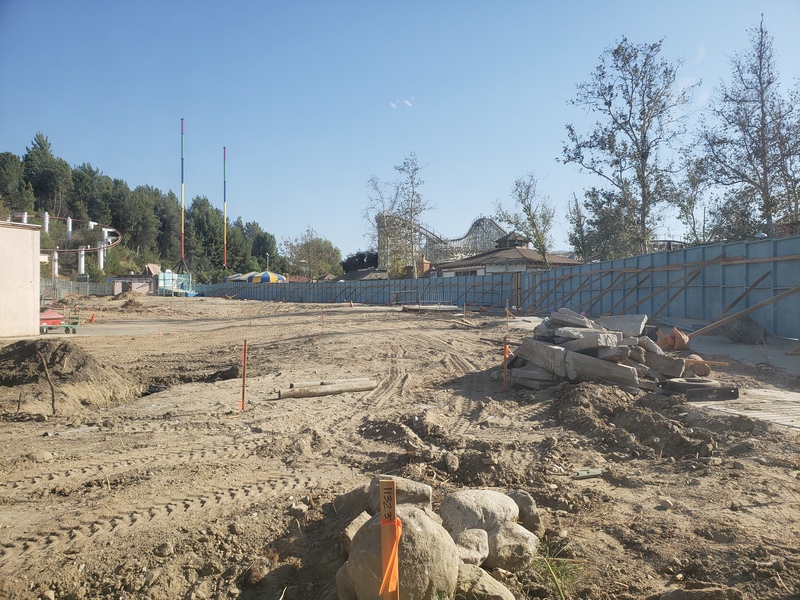 The footers that will be located here will hold up the final inversion, the zero-G-roll into the brake-run. These footers are located right in front of the Xtreme Zone gift shop. Let’s head in and take a closer look at the construction zone! 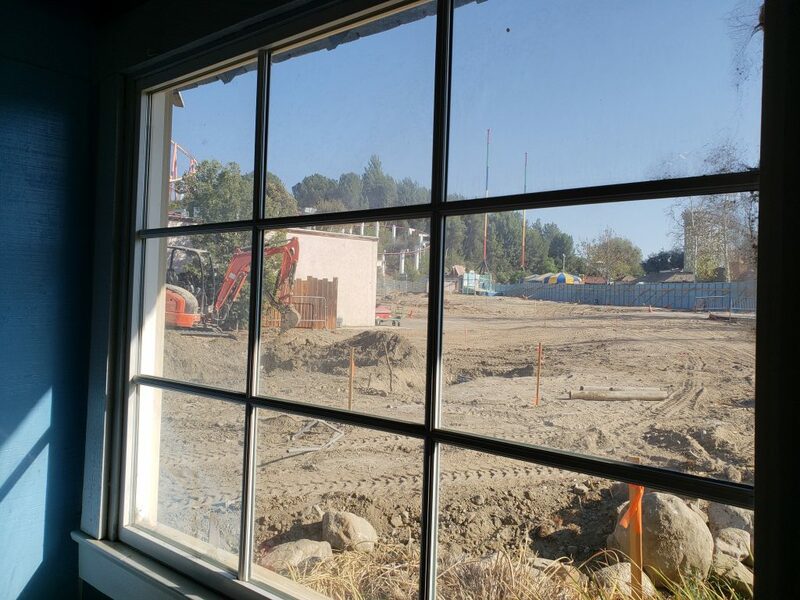 From the window inside the store, it’s quite noticeable that a lot of the concrete has been torn up to make room for the station, brake run and launch segments. 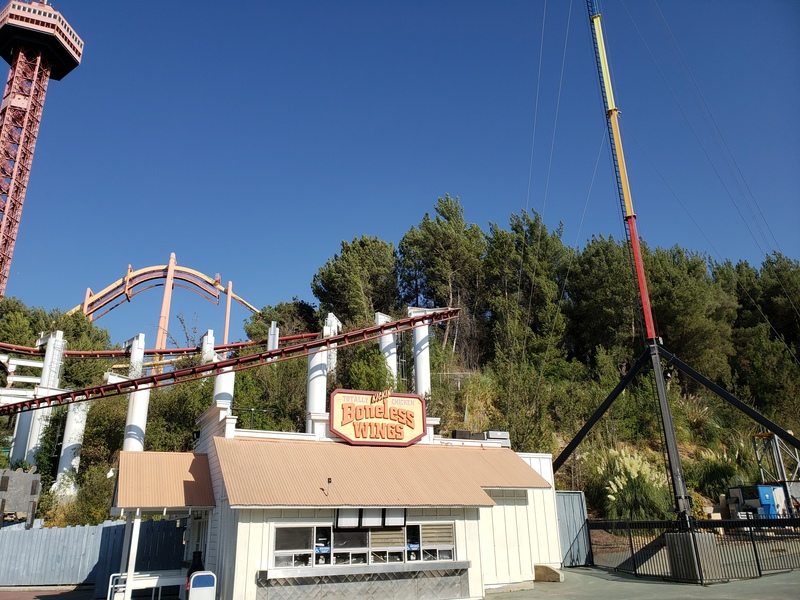 The brake-run will be located right where we see the pile of concrete, and the station will be located just across from the Coaster Candy Company a little farther away in the picture below. Here’s a closer and cleaner look at the markers and construction zone. Soon we’ll see footers get placed, and track can’t be much after that. 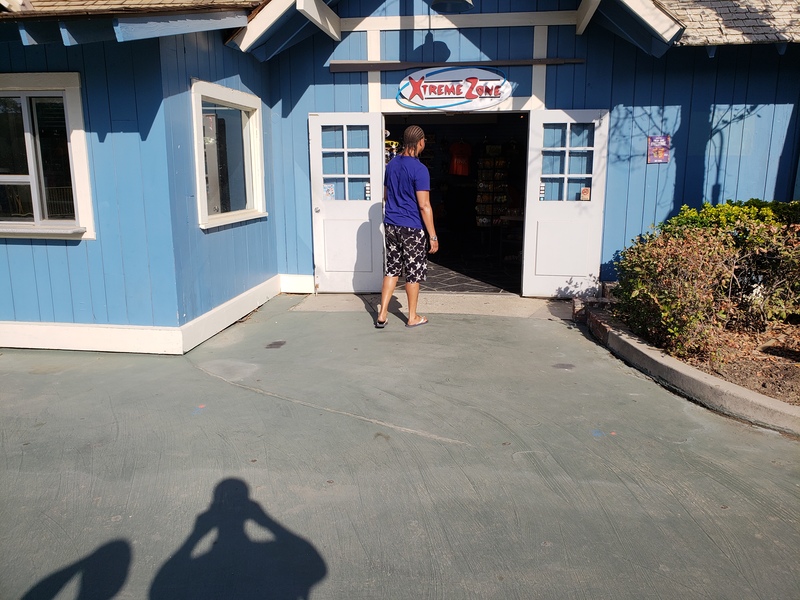 Go take a peek for yourself and visit the Xtreme Zone gift store on your next visit, located just next to Jet Stream! Let’s go ride Jet Stream! From the queue we get another good look at where the brake-run and station will be located. The final inversion will be just off to the right. Let’s finish with a landscape shot of where the primary launches will be located and the High-5 element! This will be taking place parallel to the fence seen in the picture. Here’s the concept art to remind you of where the elements will be located in approximation to Ninja and the current dirt lot! 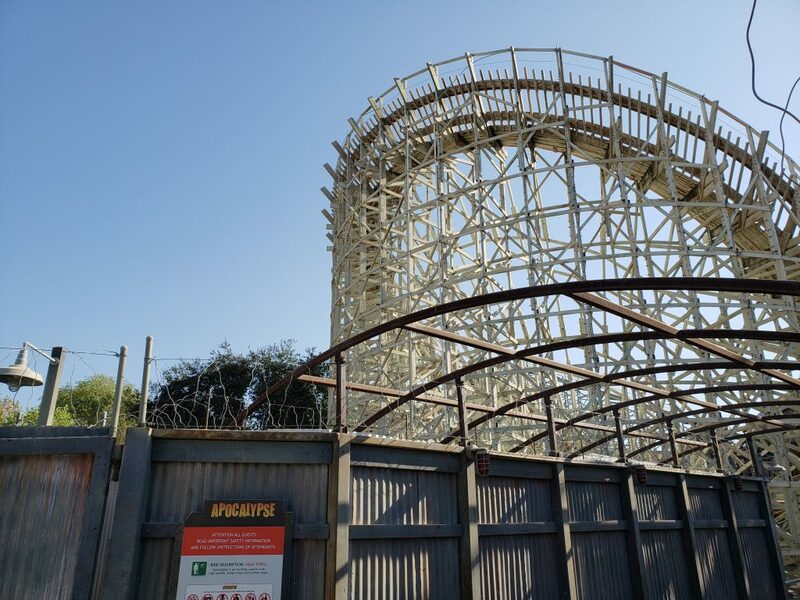 The photo of Apocalypse on the Greatest Coasters Wall isn’t even of Apocalypse, it’s a photo of American Thunder at Six Flags St. Louis. Was it so hard to just put up an actual photo of the ride they’re calling “one of the greatest in the world”? 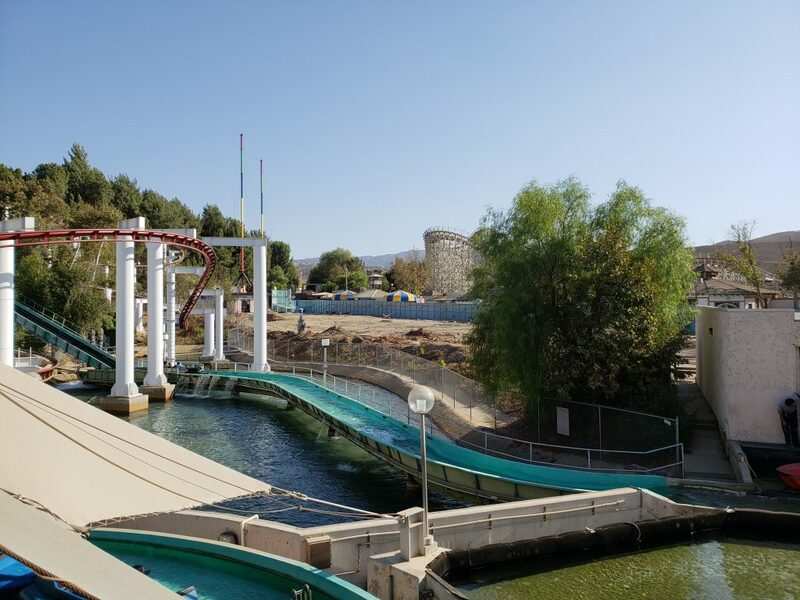 So Viper has been down for weeks now yet Magic Mountain’s website still doesn’t say that it’s closed. Why is Magic Mountain so lazy when it comes to updating its website?